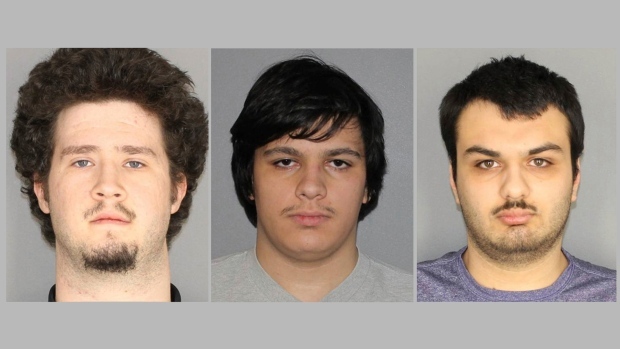 ROCHESTER, N.Y. - Three men and a high school student were charged with plotting to attack a rural upstate New York Muslim community named Islamberg with explosives, authorities said Tuesday. “I don't know that there was a specific date. They had a plan in place,” Phelan said. “He looks like the next school shooter, doesn't he?” the student allegedly said while showing students a picture of another boy on his phone, according to Phelan. “They were homemade bombs with various items - black powder, BBs, nails, inside a container,” Phelan said.